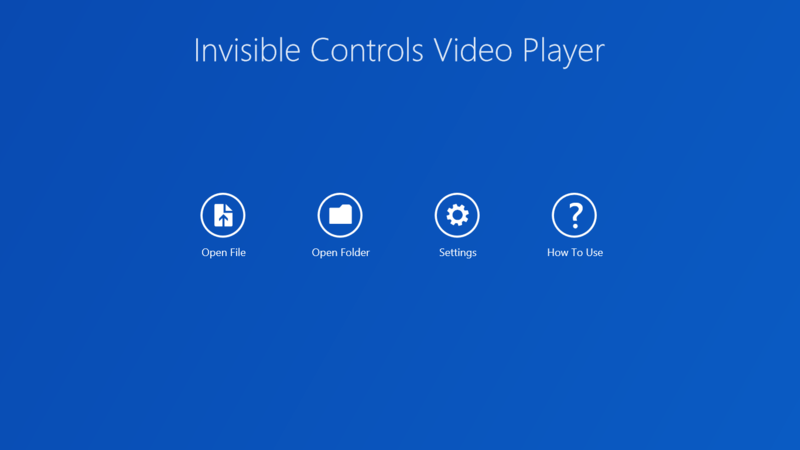 Invisible Controls Video Player is a unique video player which has invisible controls and can be controlled by using touch gestures like tap, double-tap or swipe and is very useful as controls shown while watching a video become too obtrusive and annoying. Download and run the app. Click Open Video or Open Folder and select the videos that you want to play. 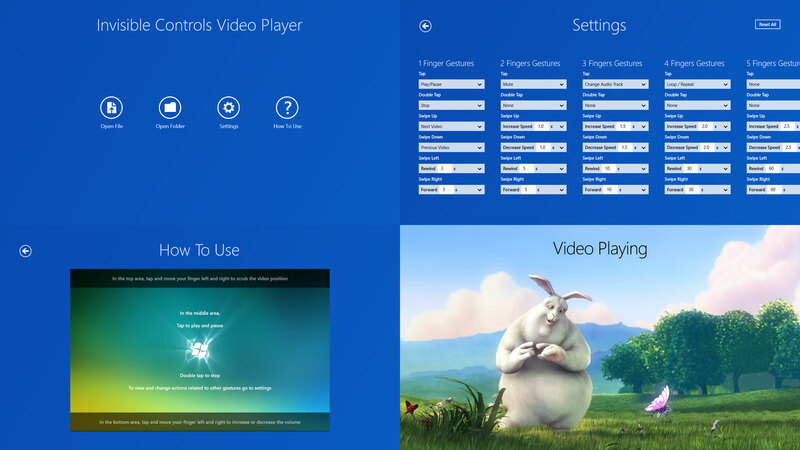 If you select multiple videos, they will be added in the playlist. When the video is playing, to seek/scrub the video position, tap in the top area and slide your finger left or right. 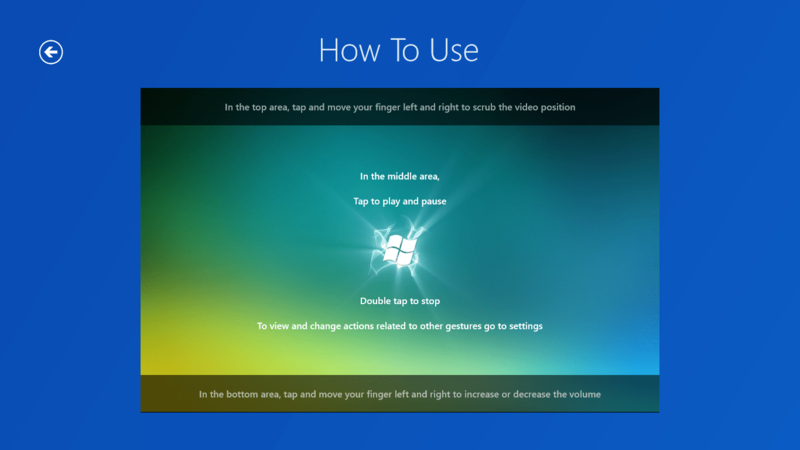 Similarly, to increase/decrease the volume, tap in the bottom area and slide your finger left or right. 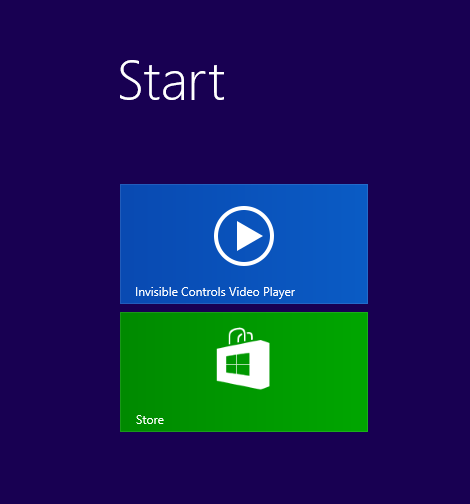 In the middle area, a tap will play or pause the video and a double-tap will stop the video and go to the main menu. Swiping your finger upwards will play the next video if you have selected multiple videos and swiping downwards will play the previous video in the playlist. Swiping left will rewind and swiping right will forward the video 3 seconds. 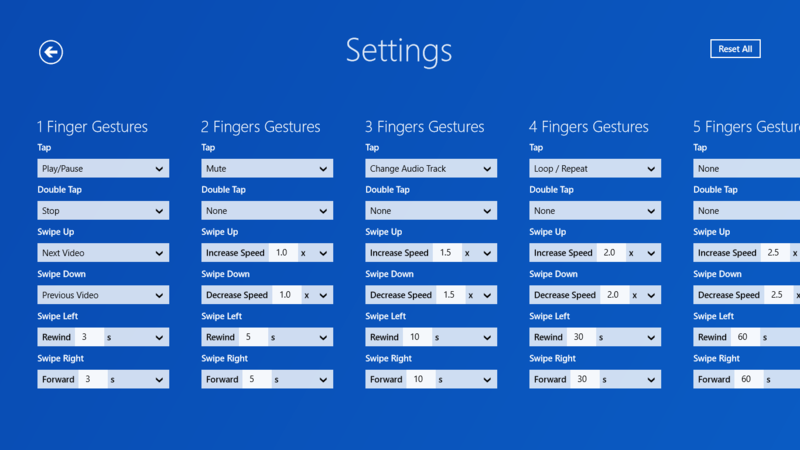 To change actions related to different gestures, go to the main menu and click Settings.